The furry rodent special conditions are required for a comfortable stay. Coconut and cardboard boxes, plywood and a plastic Cup can turn into a full-fledged furnished living space for a pet. For the construction of a comfortable house out of a coconut through a small hole, drain the fluid. Install the nut on the table and apply the markup. The weakest part of the coconut, in addition to the three "eyes", is the distance of 1/3 from the base. Take a kitchen knife or a hatchet and badly hit the coconut, continue to hit up until the nut will not crack. To quickly remove the flesh of the coconut, pre-place it in the freezer for 12 hours. The entrance to the building shall have a diameter not less than 5 cm Sand hole sand paper. The following construction will consist of wood planks or plywood with a thickness of 1-3 cm, Cut in two parts with the length of 12.5 and 14.5 cm. 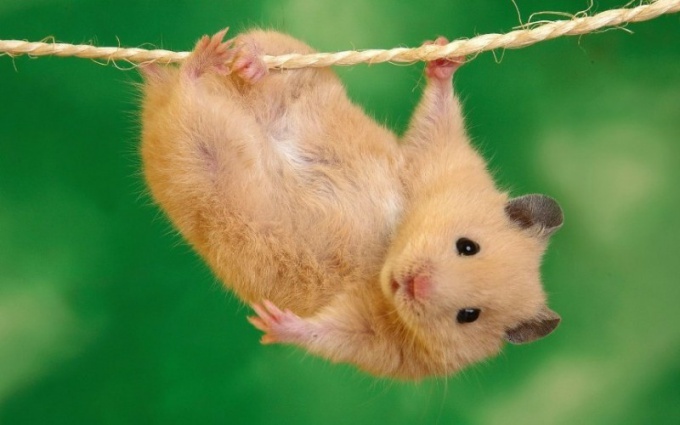 Height of the workpiece depends on the size of the hamster and your personal preferences. In one of the smaller blanks to cut a hole with a diameter of 5-6 cm. More details will drill out the two Windows with a diameter of 2.5 cm, of Course, your furry friend will not look at them, but they will provide adequate ventilation. Sand all the parts and holes with sandpaper. Bring down the parts and make sure that the ends of the nails will not be able to injure the animal. This "material" is easy to find rolls of toilet paper and paper towels. Flatten one tube and penetrate into the centre of each side of the semicircle. The same procedure repeat with the second tube. Both the tube insert into each other so matched holes. To create a plastic house suitable to the usual plastic container used for food storage. The size will depend on the preferences of your pet and "filling" of housing. On the lid of the container, draw a rectangle the size 45х15 cm and cut with scissors. Of plastic or metal mesh cut rectangle 50х20 see With using super glue, attach the mesh to the lid of the container. Simple manipulation allowed us to obtain ventilation. If you do not want to mess with glue, use bolts and nuts. If hairy resident of Royal blood, and in your plan the construction of the present Palace. Take another container and make ventilation as described above. On both sides of the containers with a sharp knife cut out the holes and insert a cardboard or plastic tube, secure with glue. Remember that the diameter of the tunnel-tube should be sufficient for a hamster. To temporarily house you will need paper towels, a balloon and a container of water. Towels break into separate pieces, the bulb inflate. Moisten each leaf and evenly apply on the ball. Once dry just pop the balloon, cut an opening in the door and remove the bowl. This design is short-lived. As Thrifty rodent will certainly decide to try "to the tooth".